2. Mill operating instructions . .
3. Squaring up a block . • Hori zontal milling conversion . • Rotary column attachmcnt . 2. Lathe and mill alignment and adj ustments . 3. Enginering drawings . .
4. Frequentl y asked questions . .
6. Using CNC in a home shop . 2. Mill vise "sofe jaws . from the pages of Modeltec magazine) . 5. 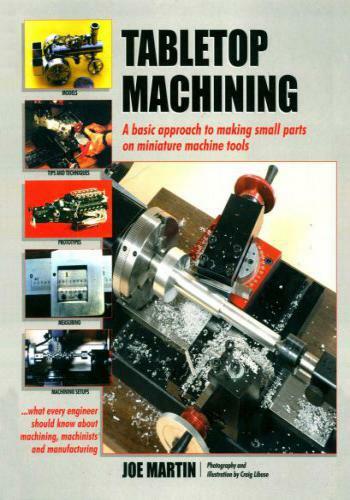 Ordering plans for the "Little Angel"
machining project by Bob Shores . 2. Contests and awards for tabletop machinists . • Mode l 4000 and 4400 Lathes . 4. A simple RPM gage for your latheor mill .